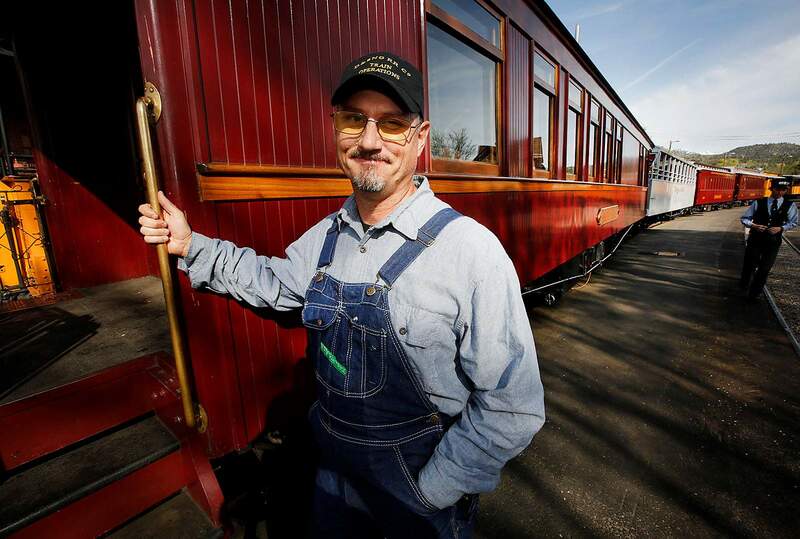 Dutch Shaver during his training as a Brakeman for the Durango & Silverton Narrow Gauge Railroad on Saturday. Dutch Shaver takes a walk during his training as a brakeman for the Durango & Silverton Narrow Gauge Railroad on Saturday. Groundskeeper Dutch Shaver could be considered the eyes and ears of Durango High School: Who has a crush on who, what cliques are forming and what ideologies are shaping students’ lives. The high school is a microcosm of a larger community – that of La Plata County, with its mix of rural and urban lifestyles, which is a microcosm of yet a larger community – that of the United States and its polarized political landscape. Shaver contemplates all of this as he trims bushes, pulls weeds and plants flowers at the high school. He notices how kids label themselves – jock, feminist, lesbian – and he sees how adults do the same: Republican, Democrat, independent; white, male, Mormon; patriot, activist, American; etc. “Everything has to be labeled,” he said. But Shaver prides himself on looking past the labels and opening his mind to well-reasoned arguments. Maintaining a balance, he said, is essential to well-rounded individuals and effective governments. With that said, Shaver considers himself a conservative, largely because he believes in capitalism and giving everyone a fair shot at making money. He’s having a hard time getting on board with President Donald Trump, saying he questions the president’s moral character and common sense. Shaver has three children, 10 and 14 and a 14-year-old stepson. He also works part-time at the Durango & Silverton Narrow Gauge Railroad and is co-captain of the Convention of States for state House District 59, which seeks to roll back federal regulations, reign in the federal debt and impose term limits on members of Congress. The Convention of States is a long-term political attempt to bring 34 states together to “impose fiscal restraints on the federal government, limit its power and jurisdiction, and impose term limits on its officials and members of Congress.” After that, the goal is to get 38 states to agree to amend the Constitution, thereby bypassing Congress. While the effort is led by conservatives, supporters believe it crosses political spectrums by including objectives that appeal to Americans in general, at least at face-value. Shaver, 50, moved to Durango from Albuquerque in April 2015. He used to make trips here as a child to visit family, including grandparents who lived in La Plata County. His grandfather planted a willow tree near U.S. Highway 550 and Trimble Lane (County Road 252), that has grown into a massive specimen. As a child, he fell in love with the D&SNG – chasing it along the tracks with his mother to take pictures. He determined early on that he wanted to work on the train. 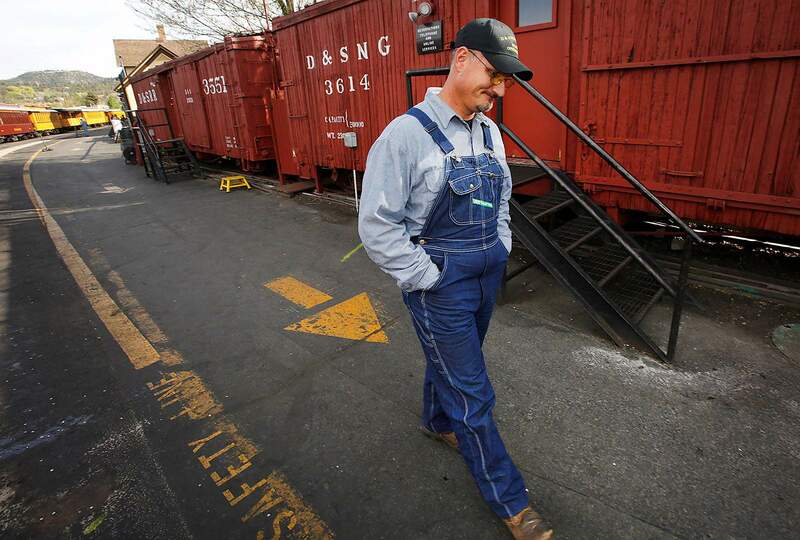 Shaver realized that dream two weeks ago: D&SNG hired him as a brakeman, who helps the conductor oversee passengers and maintain safety. It’s a weekend job, just in time for the summer. Durango and Albuquerque have certain similarities as far as people and cultures, he said, but Albuquerque is too spread out; he likes Durango because everything is packed together. Shaver has no problem drawing parallels between his jobs and society. The landscaper sees a similarity between plants and kids. No plant species is alike, he said. Each needs its own soil, light and temperature conditions to thrive. Likewise, no child is alike. They learn differently, interact differently and develop at different speeds. “They all take different types of care, and they can all learn in different ways and grow in different ways to become the best flower they can be,” Shaver said. The train buff draws connections between a well-functioning locomotive and the national political scene. A coal-fired locomotive has many parts that must function simultaneously and in harmony to be most effective. A single weakness can cause the whole thing to break, he said. If one part over-powers another, it could spell doom. The locomotive needs a precise balance of fuel and water to control temperature and steam, he said. Shaver attended a charter college in Washington state and worked 3½ years as a paralegal, mostly just to prove to himself he was smart enough to do white-collar work. But he prefers landscaping and groundskeeping. He takes pride in making the high school look nice. If a family moves to Durango and is considering enrolling in either Durango High School or Animas High School, their first impression is going to be the physical appearance of the schools, he said. His parental advice: Expose children to many ideas and directions, and let them choose what to believe or what paths to pursue.